Canadian Don Hatton has completed the first day for racing in the 2010 Sardegna Rally Race in Sardinia Italy. “Exciting day! Long stages with average speed of only 40 km/hr. Very narrow and rocky, just like riding the deer or mountain bike trails back home” Don says. It was pouring rain during the special stage today making it even tougher for the competitors more used to riding in the North African sand dunes. The 4 foot deep water crossing was exceptionally tough. But thanks to the help of the Polish team who with their ATV were able to pull out six stranded riders. We know at this point that Marc Coma is leading the race overall but due to lack of direct contact with the organizers we are unable to update Don’s position in the race. We will advise as soon as we have the information. Today’s stage is the “Marathon Stage” ending in a “parc ferme” at the Polygon Military compound in the Sardinian mountains. This means the riders will not have their support teams to help with the maintenance or repair of the bike. Also all the competitors are housed in large communal tent in an “African Style” bivouac for the night. Parc ferme is a term used to indicate a guarded locked compound where the motorcycles are kept at night. The riders are generally only allowed a short time frame to do any maintenance or repairs on the bikes, sometimes as little as fifteen minutes, and are not allowed any help from anyone – including spectators – and especially their support team. If they are caught accepting help they can be disqualified from the race. Therefore along with incredible physical and mental stamina, the ability to navigate in everything from a desert to wooded mountains a Rally Raid rider must also be a very handy mechanic! Sunday June 6th from 10:00am to 4:00pm you're invited to join Duncan Motorsports and Kickstart Coffee for a unique demo ride on a ZERO Electric motorcycle. 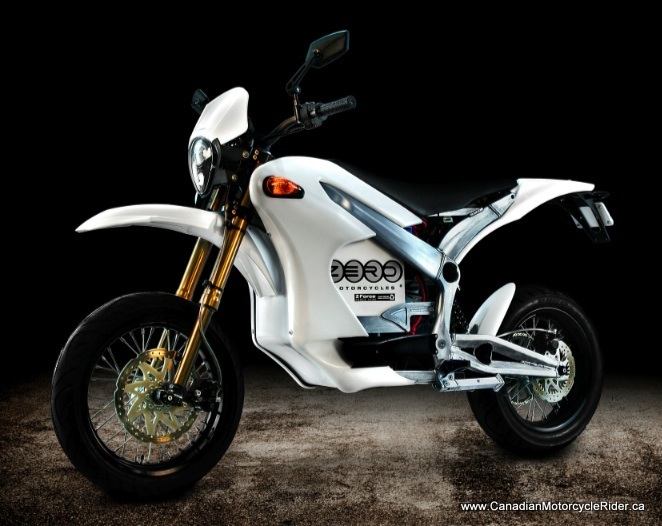 “Zero Motorcycles is the next step in motorcycle evolution and represents the ultimate electric motorcycle technology. Unencumbered by conventional thinking about how we design, manufacture, and sell high performance electric motorcycles, we’re on a mission to turn heads and revolutionize our industry by combining the best aspects of a traditional motorcycle with today’s most advanced technology. The result is an electric motorcycle line that’s insanely fast, and environmentally friendly. Duncan Motorsports is the exclusive Zero Electric Motorcycle Dealer on Vancouver Island! For more information check out “Events” at www.duncanmotorsports.ca or www.facebook.com under the group Zero Motorcycles Demo Day Vancouver Island. *All rides are weather permitting. Please bring your valid Class 6 motorcycle licence. Motorcycle Experience this Sunday at 1:30 PM! Toyota Truck presents Motorcycle Experience this Sunday at 1:30 PM! Sunday May 23 at 1:30 PM* on TSN and TSN HD. World Enduro Canada is pleased to announce the updated schedule for the Ontario Cross Country Championship - Spring Series. The Spring series kicks off this Sunday at the Sturgess Cycle round #1 in Port Colborne, ON. The Niagra Timberline Riders have been hard at work on a great course with a number of changes from last year. The WEC crew will be there with the Royal Distributing race truck, professional timing crew, PA system, and race announcer. We also have reports that Offroadmotorcycles.ca is going to have an eye in the sky with someone filming the event from an ultralight and putting the footage on Youtube!! In addition the word is a few of the National level MX riders could be arriving to try their hand at cross country racing!! Hope to see you all there! Fabulous food, lovely people, warm Mediterranean weather and gorgeous scenery: this is Rally Raid racing in Sardinia. The off set to this are long days in the saddle over tough terrain. There is a little bit of everything for the competitive rider: rocks, sand, lots of mountains to climb and descend, and water crossings up to 4 feet deep! The Sardegna Rally Race is the third round of the FIM Rally Raid World Championship and this is what Duncan’s Don Hatton of Rally Raid Canada is participating in from May 27 till June 1. The first stage of the rally from San Teodoro to Arbrorea will be 406 kilometers long with 187 kilometers of it being the timed special. Due to the remoteness of the stage all the riders have to carry extra fuel on their KTM motorcycles. The Husqvarna 630 Dual Sport motorcycles are en-route to Canada! For the first time time since Husqvarna re-entered the Canadian market in 2004 their highly sought after dual sport models will finally be available on dealer's showroom floors. When Barrett Marketing took over Canadian Distribution last fall their first priority was to get the street legal models homologated with Transport Canada. The competition ready TE and SMR units were the first to arrive and now the all new TE630 and SM630 are on their way from Italy as early release 2011 models. The Husqvarna TE 630 benefits from having many parts in common with other four-stroke racing Enduro Husqvarnas. The TE 630 will take you anywhere. With the TE 630, Husqvarna intends to widen its range to include Enduro enthusiasts who use their bikes every day and need more comfort and practicality but want to combine this with the thrill of owning a race bike. 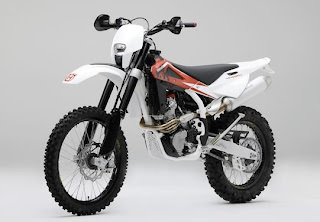 The Husqvarna TE 630 is perfect for those of you that want a bike with muscle and class. It is without any doubt the best example of how a racing off-roader can be transformed into a road-going machine. The Husqvarna TE happily took up the challenge of racing and in the last Italian Championship Motorally and Marathon Raid narrowly missed winning the Marathon class category for production bikes that it had claimed in 2008. The TE 630 combines strong looks and character with a frame built for daily off-road use thanks also to the superlative engine that is highly tractable even at low to medium revs. The main news item on the new TE 630 is the engine that has been bored out from 98 to 100 mm to give a capacity of 600cc The head now has a red rocker box like the race machines and houses DOHC valve gear from the racing 450/510 that provides 20% more power than the previous 570cc version. The TE 630 now has an electronic injection system that was developed in collaboration with Mikuni. The engine now features a 45 mm throttle body with the starter command on the handlebars and there is a 300 Kpa Mitsubishi “twin jet” fuel injector fitted to the throttle. The Kokusan 360W three-phase ignition flywheel is also new. The water temperature sensor has been positioned on the head. The cooling system has a new impeller and pump body. The clutch is hydraulically operated and the left cover plate has been redesigned. New components include the rugged 12 litre polyethylene fuel tank with a 40l/h pump; the non-return fuel circuit has quick-fit connections. Stainless steel heat protection has been added on the agressive looking exhaust system around the passenger footpegs. The suspension remains unchanged except for the Marzocchi forks that now have the same black sleeves as on the 450 and 510 models. The 2010 version of the TE 630 will have Tommaselli tapered handlebars with new steering head clamps and no cross bar. The big news on the new SM 630 is the engine that has been bored out from 98 to 100 mm to give a capacity of 600cc The head now has a red rocker box like the race machines and houses DOHC valve gear from the racing 450/510 that provides 20% more power than the previous 570cc version. The SM 610 i.e. now has an electronic injection system that was developed in collaboration with Mikuni. The engine now features a 45 mm throttle body with the starter command on the handlebars and there is a 300 Kpa Mitsubishi “twin jet” fuel injector fitted to the throttle. The pressure regulator (3 Bar) regulates any return of excess fuel to the tank and the MAQS (Modularised Air Quantity Sensor) consists of air temperature, mapping and TPS (Throttle Position Sensor) sensors. The Kokusan 360W three-phase ignition flywheel is also new. The water temperature sensor is positioned on the head. The injection ECU processes signals and governs the operation of the solenoid-operated valve fitted to the right hand side of the radiator. The cooling system has a new impeller and pump body. The clutch is hydraulically operated and the left cover plate has been redesigned. New components include the rugged 12 litre polyethylene petrol tank with a 40l/h pump; the non-return fuel circuit has quick-fit connections. Seat padding has been increased to make longer rides more comfortable. Stainless steel heat protection has been added on the exhaust system around the passenger footpegs. Braking system upgraded - the front now has a radial race-derived Brembo caliper acting on a floating 320 mm disc while the rear has a 220 mm Brembo disc with a single piston caliper. The suspension remains unchanged except for the Marzocchi forks that now have the same black sleeves as on the 450 and 510 models. 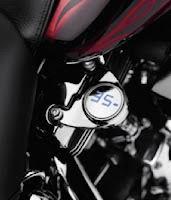 The 2010 version of the SM 630 will have Tommaselli tapered handlebars with new steering head clamps and no cross bar. Dry weight is 158 Kg. World Enduro Canada is pleased to announce the updated schedule for the Ontario Cross Country Championship - Spring Series. The Spring series kicks off this Sunday at the Sturgess Cycle round #1 in Port Colborne, ON. The Niagra Timberline Riders have been hard at work on a great course with a number of changes from last year. The WEC crew will be there with the Royal Distributing race truck, professional timing crew, PA system, and race announcer. FP Husqvarna / Zip-Ty Racing Canada’s Ryan Graffunder fought his way to another podium position this weekend during the 2010 edition of the Squealin Pig Cross Country. Graffunder continued his string of podiums by capturing 3rd overall at the Vernon, British Columbia event. Ryan was followed not long after by his brother, and Husqvarna Canada team mate, Nick Graffunder. After illness and some bad luck prevented him from finishing the first few regional races, Nick finally got some redemption by completing his first full race on his 2010 Husqvarna TXC 250 with a solid 5th position. Following some bad starts that left him at the back of the pack at the last few rounds, Ryan Graffunder was able to get away clean and launched his TXC 450 into second place off the start. Graffunder battled with Geoff Nelson, who would finish 2nd, as they chased KTM’s Ryan Durkee for the lead. At the finish, the top three were very close with Durkee maintaining a small margin over Nelson followed closely by Graffunder. Dillon Bucknell would bring home 4th with Nick Graffunder chasing him in 5th. 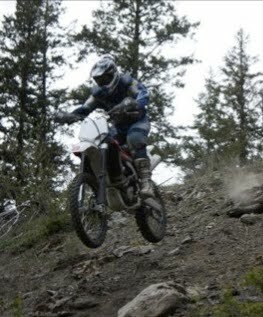 In Alberta, Husqvarna Canada’s Marty Halmazna competed in his first race on his 2010 TXC 510 by pounding his way to the finish of the Porcupine Cross Country. Halmazna had a tough day that began with a dead last start. With just shy of 20 riders in the Pro class, Halmazna had his work cut out for him as he picked off riders and made his way forward. Towards the end of the first loop, Marty was able to fight his way into the top ten and was focused on hunting the leaders. With less than 3 kms to the end of the first loop, and more importantly the gas check, Halmazna ran his big 510 out of fuel and lost an estimated 20 to 30 minutes getting to the check and fueling up. With any chance of a top result gone, Marty focused on finishing the event. The podium at this year’s Porcupine Cross Country was occupied by three seasoned racers with well documented fast guy status in Western Canada. Honda Canada’s Jason Schrage took the top step followed by multi-time champion Jared Thomas in 2nd and the infamous Paul Petrin in 3rd. Ryan, Nick and Marty along with Husqvarna Canada’s Guy Giroux, will be attending additional regional races in the coming weeks as they continue to prepare for the opening round of the 2010 Canadian Enduro Championship series that begins July 3rd and 4th in Blairmore, Alberta. KYMCO is holding a special promotion for Canadian residents and you can win a one of a kind special edition KYMCO scooter valued at $4895. You could win this one of a kind special edition KYMCO scooter simply by completing our online trivia questions. Answer correctly and complete your contact information on the ballot entry form by race day June 13, 2010. 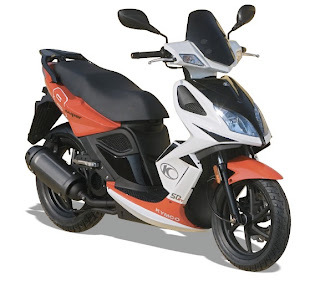 During a random draw on June 15, 2010 following the FORMULA 1 GRAND PRIX DU CANADA 2010, one ballot entry will be selected as a winner of the 2009 special edition KYMCO Bet&Win 250 scooter (valued at $4895). The odds of winning this prize depends on the number of eligible registrations received during the contest period. For full details visit KYMCO Canada's website HERE. Good luck! Winning the overall ranking in style, being victorious in two categories and scoring four more top ten positions in the reader’s vote "The best sports motorcycles 2010“ of PS (Das Sport-Motorrad Magazin) BMW Motorrad continues their success story. It was crowned with winning the title “Best motorcycle brand”. "I’m glad to hear of the overwhelming victory of our new S 1000 RR in this vote focussed on sporty motorcycles. I would like to thank the readers of PS most sincerely for their votes. This reflects the enormous enthusiasm for our products.”, said Hendrik von Kuenheim, Head of BMW Motorrad, commenting on the result of the vote. With BMW Motorrad represented in the category “Best sport motorcycle over 700 cc” with a 4-cylinder supersports bike for the first time, the new BMW S 1000 RR won this class at the first go, thereby underscoring its superior technical conception combining highest performance with Race ABS and Dynamic Traction Control DTC. At the same time the S 1000 RR secured the title "Best sports motorcycle“ by a wide margin. The BMW K 1300 S came undisputedly in first in the category “Best sporty all-rounder”. More top ten finishes were achieved by the BMW Motorrad models R 1200 GS Adventure, F 800 GS, K 1300 R and HP2 Sport. In addition BMW Motorrad won the title "Best motorcycle brand“. After the S 1000 RR being voted “Motorcycle of the Year 2010″ in the readers’ vote of the motorcycle magazine MOTORRAD with numerous victories in categories in March 2010, BMW Motorrad models were able to achieve the second outstanding success within short time by winning the PS readers’ vote. 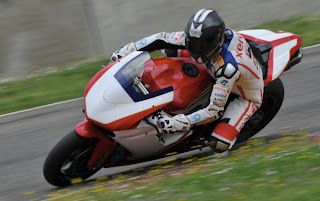 Team Zero Agni took home top honors at the inaugural TTXGP and goes down in history as the first winner of a fully electric motorcycle championship series road race held in North America. The 11-lap duel took place last Sunday at Infineon Raceway in Sonoma, California, with accomplished AMA racer Shawn Higbee emerging victorious on his Zero/Agni prepared motorcycle. As the weekend progressed, Higbee dominated the field to qualify for the pole position and held off an intense battle brought on by second-place finisher Michael Barnes. The stealthy competitors maintained a consistent pace that was only 18 seconds off the lap times of the AMA Superbikes, which proved to be an impressive showing for the all-electric motorcycles in their first outing. Wiesner Insurance - a leader in home, auto, business and most importantly motorcycle insurance - is sponsering the HOLESHOT AWARD at each round of the Ontario Cross Country Championship. The Pro rider who gets the holeshot will be awarded a $100 cheque for his efforts. With a number of motocross racers planning to give cross country racing a try this year it should make for an interesting season. These guys know the value of a good start and now there is some added motivation. Following the highly successful nationwide showroom premiere of Ducati’s new Multistrada 1200 over the weekend, the company announced today that orders for the bike have surpassed expectations and consumer demand is high for this revolutionary motorcycle. The Multistrada is the first motorcycle specifically designed for the modern era and has captured the attention of riders looking for a ride that will adapt to their challenging needs– not the other way around. Ducati created a unique platform with the Multistrada by producing a bike that delivers an all-new multi-dimensional riding experience with just a click of a button. The Multistrada 1200 combines advanced design and adaptable technology allowing the rider to explore on multiple riding terrains by shifting between four modes - Urban, Sport, Touring and Enduro – even while in motion. The rider has the capability to go from a high-performance, quick-response ride to a touring set-up for long journeys with a passenger and luggage. The Multistrada can also quickly transform into an everyday bike, used to navigate through city streets and then easily tackle backcountry tracks with the agility of Enduro mode. Ducati pre-sold more than 500 Multistradas prior to the bike’s official launch last weekend and anticipates that number to double in the coming months. For many of Ducati’s customers, being able to finally ride the Multistrada and experience the four-bikes-in-one capability sealed the deal. Among the Multistrada’s technological advancements are the New Ducati-Ohlins electronically adjusted suspension, traction control, ABS and ride-by-wire-throttle control. All of this allows for a truly customizable riding experience. FP Husqvarna / Zip-Ty Racing Canada’s Guy Giroux and Ryan Graffunder hammered their way to podium positions on the weekend while competing at regional races in their respective home turfs of British Columbia and Quebec. Giroux nailed 2nd place at the opening round of Quebec’s FMSQ series, held in St-Alphonse de Granby, while Graffunder backed up the podium he earned at his last race by delivering a 3rd overall at Rock Hound Hare Scramble in Salmon Arm, British Columbia. In Giroux’s first Canadian race on board his 2010 Husqvarna, the seasoned veteran from Quebec was able to pound his way through the slippery rocks and roots of the St-Alphonse course and secure his spot on the podium. After a bad start that left him picking his way through the pack on his WR 250 two stroke, Guy battled with an inspired Scott Bowes for second position and then focused on hunting down the United Kingdom’s ultra-fast export, and current GNCC contender, Jason Thomas. In the end, although Giroux was unable to close the significant gap that Thomas had stretched out, he was able to finish the day with a solid lock on second position. In British Columbia, the 2010 installment of the Rock Hound Hare Scramble offered up a dust choked start that saw Ryan Graffunder on his TXC 450 shadowed by his brother, and Husqvarna Canada team-mate, Nick Graffunder, on his TXC 250 as they gobbled up riders in the opening lap. Although Nick would run into problems early into the race that would prematurely end his day, Ryan was able to forge his way forward on the demanding race course that left many riders exhausted and nursing blistered hands. Following some close bar to bar combat with notorious Alberta fast guy, Paul Petrin, Graffunder was able to break away and went after the leaders. At the finish of the grueling five lap event, Ryan’s efforts were rewarded when he snagged third overall and the final spot on the podium spot. Guy, Ryan and Nick, along with Husqvarna Canada’s Marty Halmazna, will be hitting additional regional races in the coming weeks as they continue to prepare for the opening round of the 2010 Canadian Enduro Championship series that begins July 3rd and 4th in Blairmore, Alberta. Team sponsors include Husqvarna Canada, Feeding Performance Inc., Motovan, Rekluse, Ogio, Dragon, Xtreme, TCX, Axis, Zox, Pro-Tech, Etnies, Throttle Entertainment, UNI Filter, DID, LeoVince, GPR Stabilizer, Motul, LimeNine, Impact Canopies, GoPro, Enduro Engineering, Supersprox, Boyesen, Dunlop and Zip Ty Racing. Special thanks to the Husqvarna Canada dealers that provide extra assistance help ensure our race program is a success; Bow Ridge Sports in Cochrane, Echo Cycle in Edmonton and RiverCity Cycle in Kamloops. I always liked the Sprint GT but there's even more to like with the new 2011 version - which will be available in Canadian dealerships this fall as an early release 2011. There's a little boost in power up 5 bhp to 130 bhp at 9,200 rpm; torque is up by the same amount to 80lb/ft at 6,300 rpm. A switch from underseat exhaust to side mounted leaves more space for underseat storage as well. The lights have been redesigned too, and are said to offer "improved distribution of light." If you're touring minded then you'll appreciate the standard 31-liter panniers and an optional top box with a 12v power supply; ABS comes standard as well. A tank of gas offers you a 200 mile range. Price is $14,399. For full details on the new 2011 Triumph Sprint GT check out the Sprint GT page on Triumph's website HERE. World Enduro Canada is pleased to announce that Rockstar Energy Drink has decided to support the 2010 Royal Distributing Canadian Enduro Championship presented by Parts Canada. Rockstar is a well know brand in the motorcycle racing world sponsoring a wide range of teams, riders and events around the world. The fantastic Rockstar products will be fueling the racers at all four events this season starting in Coleman, AB in July. Come out to see some exciting racing and "We'll make you a Rockstar!" A little help with engines. Engine visualizations. Came across a great link that visual learners (like myself) might also enjoy. It's a site featuring animated illustrations that explain the inner workings of a variety of steam, stirling, and internal combustion engines. Moving pictures and simple descriptions! We can't post any of the pictures here for you but head on over the the site - HERE. 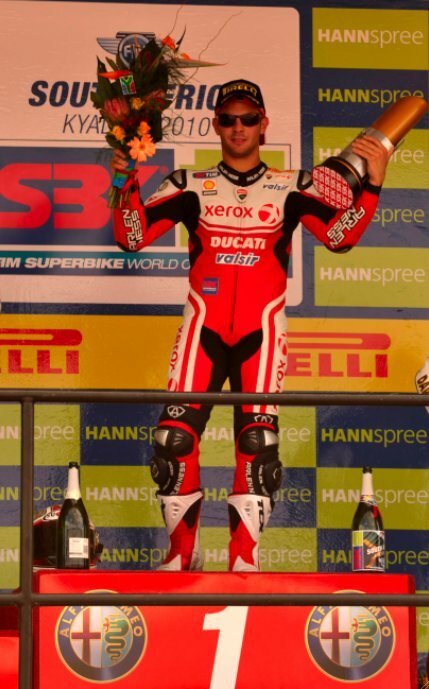 Ducati Xerox rider Michel Fabrizio was celebrating with his squad this afternoon after dominating a spectacular Race 1 to take his first victory of the 2010 season, at the South African track of Kyalami. Michel Fabrizio made a perfect start to Race 1, moving straight into the lead by getting past Crutchlow, Toseland and Checa right off the line. The Italian rider quickly extended his lead over Checa (on Althea Racing’s 1198) and maintained a constant one second advantage for the entire duration of the race. Lap times inevitably began to increase during the final stages of the 24-lap race but nonetheless Michel carefully managed his advantage and crossed the line first, to take his first race win of the 2010 season, just over a second ahead of the Spaniard. Noriyuki had a more difficult race, struggling with a lack of grip. Although he made up a few positions straight off the start line, progressing from sixteenth to twelfth, after about ten laps the lack of rear grip began to affect his lap times which consequently caused him to lose over the final laps the positions he had previously gained; the Japanese rider therefore closed Race 1 in seventeenth position. Michel made a less impressive start to Race 2 but his reactions were quick and he made up over the course of the first lap the positions he had lost off the line. For the first eight laps he remained in fourth position, just behind Jonathan Rea, Leon Haslam e Max Biaggi who battled it out among themselves up ahead. Unfortunately however, an unexpected loss of grip subsequently prevented the Italian rider from pushing and, in increasing difficulty in the final stages of the race, he eventually concluded the race in eighth place. Noriyuki meanwhile had a better race, lapping consistently fast, with lap times in the final stages that matched those of the podium placed riders. Although he continued to improve, there was too much to make up from sixteenth on the grid, and the Japanese rider had to be satisfied with tenth place. Despite two difficult races, Noriyuki Haga still holds on to sixth position in the overall standings (106 points) while Michel Fabrizio, thanks to today’s win, has started to close the gap; now eighth with 95 points. Ducati remains in third position in the manufacturers championship with 185 points to Aprilia’s 213 and Suzuki’s 222. Toyota Truck presents Motorcycle Experience this Saturday May 15 at 11:30 AM* on TSN and TSN HD. Motorcycle Experience is created with the support of our very good friends at Toyota Canada, Yamaha Motor Canada, Honda Canada, BMW Motorrad, Suzuki Canada, and Motovan. Three-times World Champion Troy Bayliss was back on track at Mugello this week, riding the Ducati 1198 development bike for the Ducati Xerox team; his first Superbike ride since his last race (and double victory) at Portimao in October 2008, after which he announced his official retirement. The two-day test session, scheduled some months ago as part of Ducati’s 2010 testing schedule, was conditioned by heavy rain yesterday. Bayliss, though riding in full wet conditions, immediately got back into the swing of things and registered a best time of 2m05 during the morning. Although the rain let up in the early afternoon, the track remained wet and slippery, so there was no opportunity for the Australian rider to improve his time. On Wednesday the track was still damp but the work continued regardless and by lunch time the asphalt had dried out. The team worked on the development of a new software for the gear shifter, with very positive results, meaning that it may be used in this Sunday’s race. The team also worked to refine the set up of the 1198 and found an efficient solution that may also be implemented this weekend in Kyalami. By the end of the session, which concluded in the early afternoon, Troy had made more than 60 laps, registering a best time of 1’51.9, an extremely impressive time for a Superbike at Mugello. The test team, as well as Ernesto Marinelli who returned to the role of track engineer for the Australian during these tests, declared the sessions a success, having collated valuable data and feedback from Troy over the two days. Troy will next test for the factory team during World Ducati Week, taking place at the Misano World Circuit from 10th to 13th June, alongside factory riders Noriyuki Haga and Michel Fabrizio. Newest parts and accessories from Harley Davidson. Claw and Magnetic-Tip Tools Assisted by Bright LED Light Perfect for working in tight spots, the new Screamin’ Eagl® Lighted Pick-Up Tool Kit (P/N 94148-10) from Harley-Davidson Genuine Motor Accessories features both claw and magnetic pickup tools mated to bright and durable LED illuminated tips for working in low-light areas. The lighted claw tool features a flexible 22-inch-long reaching arm that is tipped with an expanding four-finger gripping claw that is easy to operate with just one hand. The tip-mounted LED lamp automatically switches on when the plunger is pressed to open the jaw. The claw can retrieve objects weighing up to five pounds. The magnetic flashlight features a flexible telescopic arm that extends to 20 inches and is tipped with a powerful magnet that can retrieve objects weighing up to three pounds. To help find objects in low-light areas, the flexible tool is attached to a powerful LED flashlight that illuminates the magnetic tip. The tool and light can be manipulated with one hand. Monitor a vital engine sign with the new Digital Oil Pressure Gauge (P/N 75138-09) from Harley Davidson Genuine Motor Accessories. This accurate gauge mounts with a bracket to the rear-cylinder rocker box cover, and reads oil pressure in PSI or BAR. Its brilliant blue digital display appears through a mirror-coated glass when the ignition is on. The read-out is invisible when the ignition is off. The brightness of the display adjusts automatically to improve its visibility in bright sunlight, and dims at night to avoid distraction. The kit includes a die-cast, chrome-plated mounting bracket with gauge, a pressure sensor, and a wiring harness. The Digital Oil Pressure Gauge fits 1999-later Dyna, 2000-later Softail, 1999-later Road King, and 1999-2003 Electra Glide Standard models. It does not fit with some accessories. 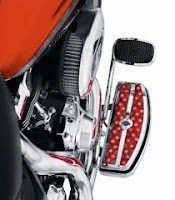 Display a bike in dazzling colour with the new Electra GloTM Rider Footboard Inserts (P/N 50745-10, red) and Electra Glo Passenger Footboard Inserts (P/N 51287-10, red) from Harley-Davidson Genuine Motor Accessories. The moulded rubber insert appears charcoal black in normal operation, with a mirrored chrome surround and Bar & Shield logo as finishing touches. But when the bike is parked and the ignition is turned to the accessory setting, the surface explodes with 36 brilliant LED lamps, washing the surface in light and reflecting off of the chrome engine and exhaust trim. Available LED colour options are red, blue, purple, or amber, which match with the corresponding Electra Glo Light Pods. The inserts fit 1986-later Harley-Davidson Touring models with “D-shaped” footboards, and are easy to install with wiring that plugs into the Factory harness. Speed, class, excitement, distinctiveness – all words synonymous with KYMCO and the celebrated FORMULA 1 GRAND PRIX DU CANADA. It is with much enthusiasm that we announce KYMCO Canada as the Official Scooter, All Terrain and Utility vehicle supplier of the FORMULA 1 GRAND PRIX DU CANADA for the 2010 event! The GRAND PRIX DU CANADA in Montréal is the only Formula 1 event held in North America in 2010 and is the longest running Formula 1 event outside of Europe. In fact, June 11-12-13 2010 will mark the 31st edition held on the Circuit Gilles- Villeneuve and will kick off the summer festival season in Montréal. As the official vehicle supplier of the event, an entire fleet of KYMCO scooters, ATVs and UTVs will be on site during the FORMULA 1 GRAND PRIX DU CANADA weekend moving race teams, organizers and volunteers around the island with ease! Fans will have an opportunity to visit the KYMCO on site display and witness for themselves that performance is not only reserved for professional race car drivers! One lucky fan will also ride away with a brand new KYMCO B&W 250 scooter adorned with custom carbon fibre graphics! To learn more about KYMCO and its line of scooters, motorcycles, ATVs and UTVs, visit www.kymco.ca. Enduro Engineering has partnered with Ross Rocher Sales to provide suspension services and aftermarket products to the Husaberg Canada supported CGRT team lead by Shane Cuthbertson. Enduro Engineering has outfitted many of the top American enduro riders for years and feels that the time is right to bring these services to Canada through an exclusive agreement with Ross Rocher Sales of Stratford, Ontario. “Robbie Lang, Head Suspension Technician has had extensive training at the Enduro Engineering Headquarters learning the suspension business from the legendary Alan Randt. And now we feel that supporting the CGRT team will help us benefit from their exploits on a national level”commented Scott Rocher. Piaggio Group Americas committed to coming back to Canada and staying here, or so their website says at least. They've got 29 dealers listed across Canada, with the bulk in Quebec but most look to be Vespa dealerships. If they're got more dealerships planned it's not easy to find on their website! Still, they've got good lineup of scooters ranging from the Fly 50 4V at $2495 on up to the MP3 500 models priced at $10,495. For more details check out their Canadian website HERE. 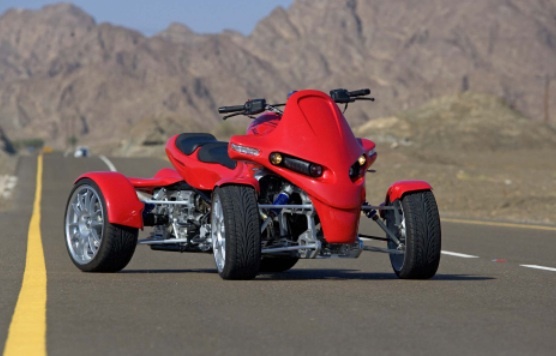 The Canadian government is said to be considering allowing the sale of "motor quadricycles", essentially motorized four-wheelers, for on-road use. A public consultation paper is to be published that considers the importation and distribution of motor quadricycles for on-road use in Canada. During a 30-day comment period, Canadians can submit opinions on amending the Motor Vehicle Safety Regulations to allow quadricycles to be imported and manufactured for sale in Canada. If there is sufficient interest, the government would propose a new vehicle class because current regulations require than four wheeled vehicle would have to meet the Federal regulatory requirements of a passenger car or low-speed vehicle. The provinces and territories would separately determine whether they'd allow motor quadricycles on their roads, and would be responsible for operator training, licensing requirements, and enforcement of their own road use legislation. The Notice of Intent can be found in the Canada Gazette under May 8, 2010 in Part One. Look for the section starting with "Department of Transport." It's right around page 40 of 152 on the PDF at the link. 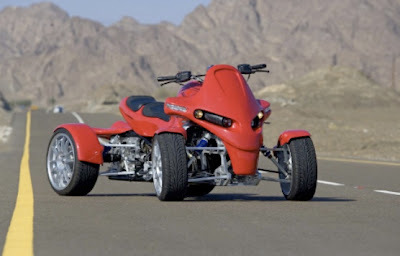 In 2006 the US NHTSA was petitioned to broaden the federal definition of motorcycle to include motorized quadricycles designed for on-road use. It denied the petition. So don't get your hopes up too high. If you want to ride a motorized quadricycle, you'll still have to go to Europe. They're looking for opinions from Canadians on this (in writing) before June 11th, 2010. There's a few specific areas they're requesting comments on. They're a bit lengthy but check out the link provided above and you'll see them. Comments, questions, and requests for additional information regarding this Notice may be directed to Denis Brault, Senior Regulatory Development Engineer, Road Safety and Motor Vehicle Regulation Directorate, ASFBE, Transport Canada 275 Slater Street, 16th Floor, Ottawa, Ontario K1A 0N5, denis.brault@tc.gc.ca (email). Bruce Parker, President of Joe Rocket Canada, is pleased to announce a sponsorship agreement with the Rush HD BMW Motorrad Canada Superbike squad. This agreement will see teammates Francis Martin and Michael Ferreira outfitted in Speedmaster 10.0 race suits and gloves as they campaign the 2010 Superbike Series. Joe Rocket Canada brand, we're going to redefine what road racing apparel should be." Team Manager Chris Duff has the BMW Motorrad squad working ahead of schedule. The team is fully prepared and excited to show off the new S1000RR to race fans. "We're ecstatic to again be working with Joe Rocket Canada. Together we've shared success in the past and we know that the race apparel Joe Rocket Canada provides will help take us to the Winner's Circle," said Duff. 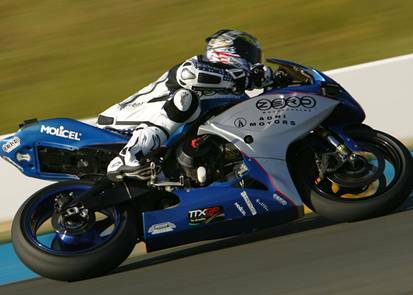 Look for the debut of the factory backed Rush HD BMW Motorrad S1000RR at the opening round of the 2010 Canadian Superbike Championship at Circuit ICAR in Mirabel Quebec, May 28-30. To celebrate 30 years of GS bikes BMW has some new special livery GS models coming out in May. Introducing the R 1200 GS “30 Years GS”, BMW Motorrad is now presenting an exclusive special model commemorating the thirty-year tradition of the highly successful GS model series, at the same time upgrading the already well-equipped travel enduro within the boxer segment by adding a wide range of additional features and equipment. The R 1200 GS “30 Years GS” special model highlights the sporting enduro DNA of BMW’s large grand touring enduros. 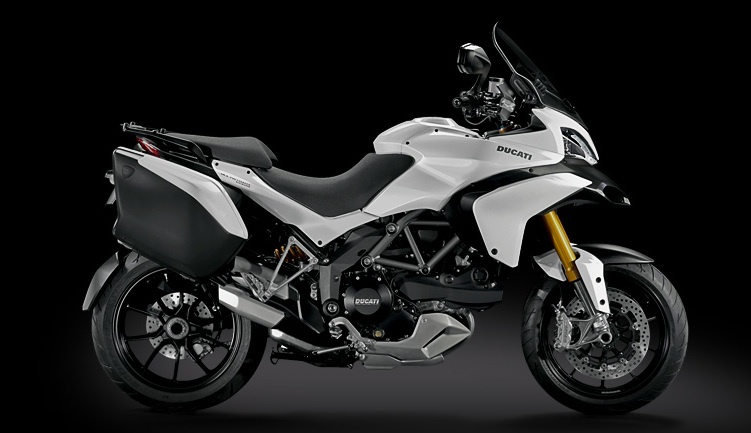 Particularly outstanding features are the exclusive paintwork in Alpine White non-metallic with three-coloured decals in the former colours of BMW Motorrad Motorsport and the “30 Years GS” model designation, cross-spoke wheels with their spoke ring in black eloxy finish, a tinted windshield (only in Europe), and hand protectors. The seat finished in red with its three-dimensional GS stamp in the side flanks gives this special model a particularly masculine and sporting look. With the exception of the cross-spoke wheels and hand protectors, the special model may be further upgraded according to the customer’s personal taste by adding special equipment and optional extras from the wide range of BMW Motorrad. Available both as special equipment and as an option straight from the factory, the special low-height seat (which is also part of the lowered suspension package) comes exclusively in black. - Paintwork in Alpine White non-metallic. - Three-coloured decals in the livery of BMW Motorrad Motorsport. - “30 Years GS” model designation on the tank. - Cross-spoke wheels with a spoke ring in black eloxy finish. - Tinted windshield (Europe only). - Seat in red with three-dimensional “GS” stamp in the side flanks. BMW also indicates that they're going to be offering a F800 GS and F650 GS version of the "30 Years GS" model too. Here's a few shots of the R 1200 GS and the F 800 GS's. 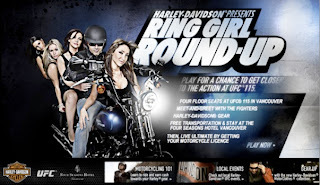 Deeley Harley-Davidson Canada has launched a new, interactive promotion that will allow thousands of UFC fans to test their metal in a very fun and creative web-based “Ring Girl Round-Up” game. 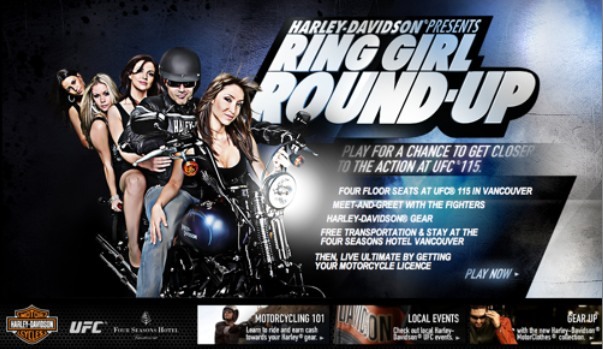 To enter, contestants will have to visit www.livingultimate.com to enjoy the “virtual” experience of riding a Harley-Davidson motorcycle, while competing to pick up as many “ring girls” as possible. The contest winner will have the incredible opportunity to share the luck with three best friends and experience prime seating at the UFC 115 event in Vancouver. Transportation, accommodation at the Four Seasons Vancouver Hotel as well as a CAD$1,000.00 shopping spree for riding gear at a participating authorized Canadian Harley-Davidson Retailer for the winner, are part of the deal, as is the once-in-a-lifetime experience of a meet-and-greet with the prominent fighters. Topped off with a free beginners motorcycle rider training course, this promotion is every guy’s dream. All that’s left is to play the game on www.livingultimate.com. The Ducati Xerox team faced two challenging races today at the Monza circuit and at the end of the day riders Noriyuki Haga and Michel Fabrizio were satisfied to come away with more valuable points, their best results today being a hard-fought sixth place in Race 2 for Haga and a seventh place finish in Race 1 for his team-mate Fabrizio. Race 1. Michel started from third on the grid but lost a few positions in the first laps, as the two Yamahas and Rea’s Honda got past him. When Rea crashed out mid-race, Fabrizio moved temporarily back up into fifth position but was soon passed by Camier, at an evident advantage on the Aprilia when it comes to top speed. The Ducati Xerox rider subsequently held sixth position until the very last corner of the final lap when Xaus on the BMW sneaked past, with Michel crossing the line in seventh position. Team-mate Noriyuki meanwhile spent the best part of the race battling with Ducati privateer Scassa and then, in the second half of the race, with Guintoli on the Suzuki. From sixteenth on the grid, the Japanese rider immediately made up three positions before moving up to eleventh place when Rea fell. Noriyuki held eleventh position for the remainder of the race; although managing to pass Guintoli on two occasions, the Frenchman quickly regained the advantage to take tenth position ahead of Noriyuki. Race 2 got off to a dramatic start when Toseland, Rea and Xaus crashed out at the first chicane. Michel’s bike, knocked in the ensuing confusion, ran off track, causing Michel to lose a few positions; after this collision Michel suffered from a malfunction with the electronic gear shifter. Fabrizio tried to ride around the gearing problem but found himself in difficulty and at the start of the second lap he slipped, losing the rear of his 1198, and unable to rejoin the race. Noriyuki meanwhile gained, immediately progressing from sixteenth to seventh position, with Michel just behind him in eighth. Noriyuki battled for sixth position against Sykes on the Kawasaki for the remainder of the race, unfortunately losing out to the Englishman in the final stages, although a crash for Crutchlow up ahead of them meant that Haga eventually concluded the race in sixth place. Noriyuki still lies in sixth position in the overall standings with 100 points; Michel is eleventh with 62 points. Ducati remains in third position in the manufacturers classification (149 points) behind Suzuki (181) and Aprilia with 184. Don Hatton has finished the grueling 2010 Rally International de Tunisie in Tunisia ! “Amazing”. “Hardest day of the Rally”. “Hardest Tunisian Rally ever!” These were quotes from some of the veteran competitors of the international Rally Raid series which includes the famous Dakar race. Don finished 16th on the stage and 5th in class for the day. It was his best stage of the rally. This places him 21st overall and 6th in class, 12 hours and 24 minutes behind the leader. The race was won by Chaleco Lopez of Chile while Marc Coma of Spain made up an unbelievable 11 minutes over Przygonski to take second place. We erroneously noted that fellow Canadian competitor Bob Jones has retracted from the race due to clutch failure but apparently he was able to fix the mechanical issues and return for the last day of competition. The official NPO website is showing Bob completing the last stage in 26th position. There is a very nice video interview with Don and his wife Natalie on http://www.rallyraid.tv . Just scroll down to and look for their photo showing them wearing their black Rally Raid Canada tee shirts. On behalf of the whole Rally Raid Canada team we would like to thank our fans, supporters and especially our media partners who have been so kind to follow us on this North African adventure. We now look forward to the Sardegna Rally Race in Italy starting May 27. Toyota Truck presents Motorcycle Experience this Saturday at 1:30 PM! Saturday May 08 at 1:30 PM* on TSN and TSN HD. BMW Motorrad Canada is pleased to support the 4th annual 2010 International Female Ride Day being staged on May 7, 2010.
International Female Ride Day is the inspiration of Vicki Gray, founder of MOTORESS, an international website developed to encourage and support women in motorcycling worldwide. Vicki works tirelessly to connect women with motorcycling and the International Female Ride Day has spawned numerous female-only motorcycling events focused on the annual May event. BMW Motorrad Canada is a strong supporter of female motorcycling in Canada, and a regular sponsor of MOTORESS since its inception. The timing of International Female Ride Day perfectly complements BMW Motorrad Canada’s “For Women Only!” Test Ride Events which kicked-off on April 24 in Vancouver, with sessions scheduled for Toronto on May 15 and Montreal on May 22. Since 2004, the BMW “For Women Only!” Test Ride Event has offered female motorcycle riders the opportunity to test ride a full range of current BMW models in a relaxed and controlled environment. Administered and hosted by seasoned female motorcycle enthusiasts in affiliation with BMW Motorrad Canada. More information on the BMW “For Women Only!” Ride Events and a link to MOTORESS, please go to www.bmw-motorrad.ca. $17,495 CDN / ABS $18,495 CDN and $20,995 CDN for the S version this bike isn't cheap but it'll likely still be a very good seller. Ducati North America is excited to announce that dealerships across the country will take delivery of the highly-anticipated Multistrada 1200 S this May 14-15. Just in time for the prime riding season, the Multistrada 1200 S will make its debut in a showroom premiere at participating dealerships across the U.S. The Multistrada 1200 S combines innovative design and advanced technology allowing the rider to experience a new dimension of motorcycling. The Multistrada 1200 can be ridden in Urban, Sport, Touring and Enduro modes while balancing impressive levels of performance, comfort, and enjoyment for both the rider and passenger. Amongst the Multistrada 1200 S’ technological advancements are the New Ducati-Ohlins electronic suspension, traction control, ABS and ride-by-wire-throttle control. All of this allows for a truly customizable riding experience. Over the weekend, select dealerships will also host special events to introduce the new Multistrada to enthusiasts and the local community, including demo rides for those who are eager to experience Ducati’s latest masterpiece first hand. For more information about the Multistrada 1200 S and participating dealers, please visit www.ducatiusa.com. Husqvarna / Zip-Ty Racing Canada’s Ryan Graffunder delivered in a big way for his new team and sponsors on the weekend, earning a solid podium finish with his 2nd place overall during his first race aboard his 2010 TXC 450. Ryan earned the new addition to his trophy collection during the inaugural Main Jet Hare Scramble, a regional event that was held in Merritt, British Columbia on May 2nd. Graffunder fought his way to the front after a bad start that left him at the back of the pack. Ryan charged his way through the other riders, eventually taking the lead for a short period before having a minor problem in an uphill section that allowed KTM’s Ryan Durkee to build a small lead that he was able to carry to the finish. Although Graffunder was unable to bridge the gap between himself and Durkee, the two Ryan’s were very close at the finish. “It was a great way to finish my first race on my new 450 Husqvarna” said Graffunder. “I have not had much time on the bike yet and, other than some basic suspension set-up, it is still completely stock. I was comfortable on it right away and I am looking forward to getting it dialed in during the regional races over the next two months before the National series starts”. Ryan’s brother and team mate on the new Husqvarna Canada team, Nick Graffunder, was unable to attend the Main Jet race. Nick did race his 2010 TXC 250 at a regional event a few weeks ago but struggled with illness that forced him to withdraw before the finish. Nick is working with his new team to get his 250 set-up for battle and will be attending regional races in preparation for his assault on the E1 class during the 2010 Canadian Enduro Championship that begins July 3rd. Husqvarna Canada’s other two riders, Guy Giroux and Marty Halmazna, are training hard and looking forward to their first races aboard their new bikes in the coming weeks. Team sponsors include Husqvarna Canada, Feeding Performance Inc., Motovan, Rekluse, Ogio, Dragon, Xtreme, Zox, Throttle Entertainment, UNI Filter, DID, Leo Vince, GPR Stabilzers, Dunlop, Motul, Lime Nine, Enduro Engineering and Zip Ty Racing. KYMCO Canada invites you to “Celebrate the PEOPLE You Love All Over Again” during the months of May and June by bringing back the popular promotion that was first introduced in February of this year. This special offer to Canadian residents offers rebates of up to $400* on non-current People S series scooters (available in 50, 125, and 200 cc). Don’t miss out on this fantastic opportunity to support an incredible charity and to celebrate women and riding! BMW Motorrad recorded improved first-quarter revenues and earnings thanks to increased sales volumes, thus bucking the worldwide trend on the motorcycle markets. Segment revenues rose by 21.0% to euro 351 million (first quarter 2009: euro 290 million). Segment EBIT increased by 14.3% to euro 32 million (first quarter 2009: euro 28 million) and the profit before tax improved by 15.4% to euro 30 million (first quarter 2009: euro 26 million). Sales of BMW brand motorcycles in the first quarter increased by 20.9% to 20,840 units (first quarter 2009: 17,232 units). 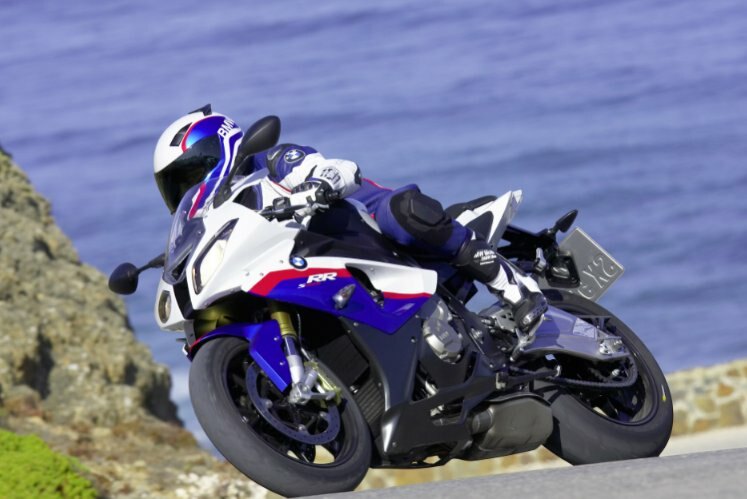 The S 1000 RR, which was launched in December 2009, is now available worldwide. The technical upgrade of the R 1200 GS and the revised R 1200 RT have been available since February 2010. The first two rounds of the 2010 Canadian National Motorcycle Trials championships are scheduled to take place on Vancouver Island, at Shawnigan Lake, over the May long weekend. The event is organized by the Island Sport Trials Club and is sanctioned by World Enduro Canada, the national body for this annual championship. The sport of “observed motorcycle trials” has a longer history than most other forms of motorcycle sport. As its name implies, competitors are observed by officials as they attempt to negotiate a series of obstacles. Points are gained for each mistake made during a rider's passage through a section of these obstacles. One point is gained for each time a rider's foot touches the ground (up to a maximum of three points), or five points for stopping (or falling off) the machine. The ride who ends the day with the lowest score wins the event. The machines used in these competitions are of a very specialized nature, manufactured by a small number of builders in Europe. The motorcycles are capable of truly amazing feats when climbing vertical rock faces or tackling other seemingly-impossible obstacles. The combination of these incredible machines, their equally amazing riders and the wonderful terrain that they tackle creates an amazing spectacle for spectators to enjoy. The chief organizer of the Shawnigan Lake national championships will be Steve Fracy, who was a four-times Canadian national champion in the nineteen-eighties. Steve's thirteen year old son Matt will be competing this year, where great results are expected of him in the Advanced class. In the elite Championship class, last year's Canadian champ, Steve Foord of Calgary, will be at Shawnigan to defend his title. He will be challenged by previous champion Jonathan English, who will be arriving from Ontario. Another former Canadian champ (and former number five in North America) Wilson Craig of Vancouver will be there, along with yet another former champ (and number two in north America) Ryon Bell of Victoria. Local Vancouver Island riders such as Will Duggan, Thomas Cordner and Andrew Watson are expected to place highly, along with other top competitors from BC, Alberta, Ontario and Quebec. Rally Connex Adventure Tours is set to offer a Spring Training day this May 9th. That also happens to be Mothers Day. It all gets started at the Tyrone Community Centre near Bowmanville, Ontario. The morning will start with a pre-ride briefing. Basic GPS functions, route navigating and protective equipment will be discussed followed by a discussion of bike set up, riding position, obstacle attack position, weight distribution and balance, and use of luggage. Following that you get on the bikes and follow the route to various training areas. At each area there will be a set of skills training sessions led by the instructors. Topics that will be covered include, mud, off camber, braking drills, power turns, deep sand, taming the whoops, and emergency maneuvers. For full details check out the Rally Connex website HERE. “The Longest Day”. That is the warning note on the route overview from the organizers of the 2010 Rally International de Tunisie. It is followed by term such as “fast, undulating tracks: sliding and jumping at daybreak” and “small dunes become large dunes, with less space between them: it becomes increasing difficult to find a route through them”. This is what Canadian Don Hatton of Duncan BC is facing tomorrow on Stage 4 of the rally. Don finished Stage 3 of the rally 25th on the stage, 28th overall and still 6th in his class, 5 hours and 16 minutes behind the leader Lopez. This is amazing considering the rough, rock strewn terrain that favours the smaller lighter bikes. Couple this with extreme heat and a blinding sand storm described as a “white out” that nearly grounded the helicopters. Don notes via text message “we needed good navigation skills today as all the tracks were covered with blowing sand”. Although tired by the tough racing conditions – it is hard to train for the extreme heat and the soft sand terrain here in western Canada – he is loving the competition. Rally Raid competitors live in a moving bivouac during the race. They are sleeping on the ground in tents usually surrounded by the support trucks with generators going all night long. The support crews work all night in some cases on the various vehicles preparing them for the next day’s competition. Come early morning, usually before 5:00 AM the racers are up getting ready for another 18 hour day. Then the support crews and race organizers pack up the bivouac and move to the next night’s location, which may be sometimes some 400 to 500 kilometers away. This is not your usual riding “holiday”. BMW Motorrad Canada retails in April were 327 units, reflecting a decrease of 8.4%over the same period in 2009. BMW Motorrad YTD retails of 651 units represent an increase of 9.8% over last year. Canadian Don Hatton successfully completed Stage 2 of the Rally International de Tunisie in 24th position for the day. Don was 2 hours and 9 minutes behind the leader Chalelo Lopez of Chili. This places Don in 29th position overall in the rally and 6th in his class with four more days of competition to come. It was an incredibly hot day, temperatures in the high 30’s degree Celsius, with a winding route through the sands of Tunisia. This was the first day of racing in the sand dunes that all the competitors were looking forward to. Don is not reporting any ongoing issues with his motorcycle after yesterday’s mechanical delay. Stage 3 will be a loop from Nekrif back to Nikrif totaling 265 kilometers in length. It is reported to be a fast special with a mix of small sand dunes, canyons and winding rocky tracks. As the organizers note: “ there will be something for everyone”. They are also reminding riders to “follow the right bearings through the sea of dunes” as the “track keeps disappearing under the wheels”. We think of rally racing as a fast cross country style of racing. Going from point A to point B as fast as you can. When in actuality it is a navigation rally held at speed. A rider must be able to navigate through unknown territory with just a route book and a compass. No GPS units are used and they must hit certain check points to ensure they are on course. If they miss a check point they may be docked a timing penalty or if they miss more than one they may be disqualified from the race. Being fast is not good enough to win at Rally Raid – you must be fast and on route to win. Don Hatton finished in 30th place on Stage 1 of the Rallye International de Tunisie in Tunisia. Day one on Saturday was a prologue event held on the beach near Tunis. This accommodated the spectators allowing them to see the cars, motorcycles and heavy trucks up close and in full race action. The terrain was very deep wet sand – not the easiest thing for Don to contend with riding his heavy KTM 690. If you watch the video clips of the race ( http://www.pressetv.eu/rallye )you will see huge cacti bordering the route in the desert area. They appear massive and even the event organizers gave warning not to wander near them. This is not the place to loose concentration! You will also see Don in the opening sequence riding number 18! Tomorrow’s Stage 2 is a straight 288km special stage. That means they race the whole way riding at 100%, no relaxing riding during a liaison. The stage consists of sand, sand with rocks, sand dunes, soft sand and more fast, wide packed sand tracts to the bivouac at Nekrif. Early start times for the motorcycle competitors is to allow them to get ahead, and hopefully keep ahead, of the cars and trucks who are racing on the same route. Can you imagine riding flat out as fast as you can on a narrow desert track and have a racecar doing 30 miles per hour faster than you trying to pass you. Welcome to rally racing. Don Hatton of Rally Raid Canada is competing in the Rallye International de Tunisie starting today in Tunis, Tunisia. Don has passed all the scrutineering procedures with the Desert Rose team and his KTM 690 Rally bike, the same bike that he rode in the 2010 Dakar race. “Tunisia is definitely Africa” Don’s wife and onsite support crew member Natalie comments. Temperatures are in the mid 30 to low 40 degree Celsius during the day and low teens at nighttime. There will be an excessive amount of sand riding for the competition stages with long liaison stages in between. Follow Don on the NPO web site at www.npo.fr website or visit our website www.rallyraidcanada.com . His competitor number is 18. New to this year’s rally is “live broadcasting” by the event organizers. We will be following the event at www.npolive.com/tunisie2010/en to see how well this works. Due to the extremes of temperature a lot of the motorcycle riders install heated grips on their bikes to help keep them warm in the mornings. The riders have to dress in multiple layers to combat the cold – with temperatures sometimes in the single digits in the morning - and then strip down to allow them to survive the 40 degree heat of mid afternoon. Layering and preparation is key to combating the elements. Motorcycle Experience this Saturday at 11:30 AM! Toyota Truck presents Motorcycle Experience this Saturday, May 01 at 11:30 AM* on TSN and TSN HD.